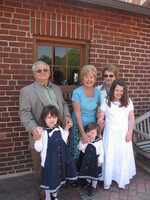 Provide comfort for the family of Joan B. DiMinno with a meaningful gesture of sympathy. Joan B. DiMinno 76, of Kensington, CT passed away peacefully Tuesday, March 19, 2019, at the Hospital of Central CT @ New Britain General surrounded by her family and friends and the love, thoughts and prayers of the countless people who knew her. Joan left this world hearing the words I love you and truly feeling the love and support of everyone. She brought happiness, love and joy to anyone she knew or came in contact with and her spirit will continue. Joan was born in New Britain, CT and was the daughter of the late Henry Lenkiewicz and Pauline Fama (Pierlioni). She was always helping others and gave love beyond words. Joan was a beautician and also volunteered her time at a local school helping children in the reading program. Joan is survived by her beloved husband Richard DiMinno of Kensington, CT, her son Kevin DiMinno and his wife Sheila and her cherished grandchildren, Grace and Annie of Plainville, CT, her brother Henry Lenkiewicz, Jr and his wife Christine of Southington, CT. Joan also leaves many special family members and friends. Joan was predeceased by her granddaughter Mary Rose DiMinno. 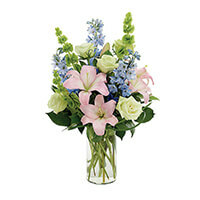 To send flowers in memory of Joan B. DiMinno, please visit our Heartfelt Sympathies Store. We encourage you to share your most beloved memories of Joan B. here, so that the family and other loved ones can always see it. You can upload cherished photographs, or share your favorite stories, and can even comment on those shared by others. Your friends, the Calvo family, The Windward , and others have sent flowers to the family of Joan B. DiMinno. Joanie, I will miss you terribly. (Tears as I write this )..The first hummingbird I see I will name her Joanie. I will look over at your gardens and think of you as we shared flowers. Watching birds was also fun. I took some great birds pictures at your house. I won't forget the time we took a walk towards dusk and you were walking me home. You said thats an awful big Cat, ( IT WAS A BIG SKUNK). Last time when I was there with Olive we were sitting on the porch and Olive jumped right up into your lap to snuggle. She will miss you and your treats also. I also thank you for helping me paint through the years. I had fun with your Mother when you went to florida and she stayed at your house. I ALWAYS enjoyed eating cookies at your house! Yes, I WILL visit with Richard. (hopefully he will give me cookies)!!! Tommy and Julie also send their regards. Joan, I will miss our flower talks. You were always a pleasure to chat and laugh with. Will miss you dearly! Your friends, the Calvo family purchased the A DAY AT THE BEACH for the family of Joan B. DiMinno. The Windward purchased the CLASSIC YELLOW MACHE BASKET - SMALL for the family of Joan B. DiMinno.